Hidden between tropical rainforests and the warm Caribbean Sea, the tiny nation of Belize is a place of authentic tropical charm, mysterious Maya ruins, spectacular underwater wonders, and legendary adventures. With over 300,000 residents, Belize has the lowest population density in Central America. Attractions include the Great Blue Hole, Lamanai Archaeological Reserve, and Placencia. Get ready for Caribbean rhythms and electrifying adventures with cheap flights to Belize. The hub airport of Belize is Philip S. W. Goldson International Airport (BZE), which is a 20-minute drive from Belize City. 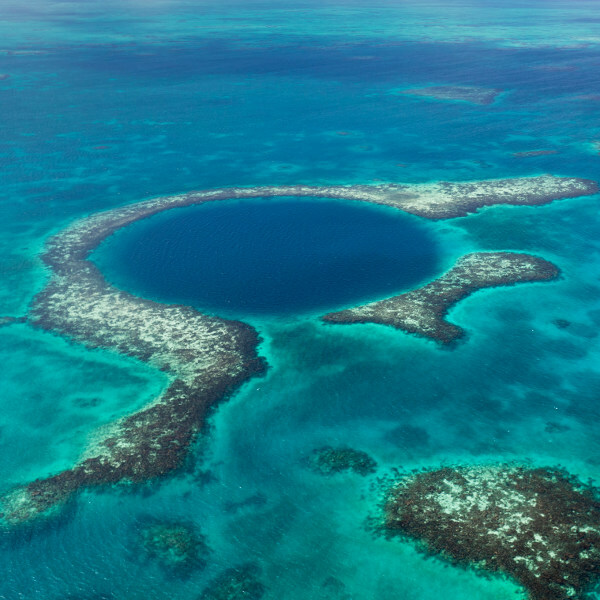 300 metres across and 125 metres deep, the Great Blue Hole is believed to be the largest sinkhole of its kind. It is a bucket-list destination for many scuba divers and adventurers. The mysterious world of the ancient Maya civilisation lives on in Belize. The landscape is peppered with about 900 ruins. 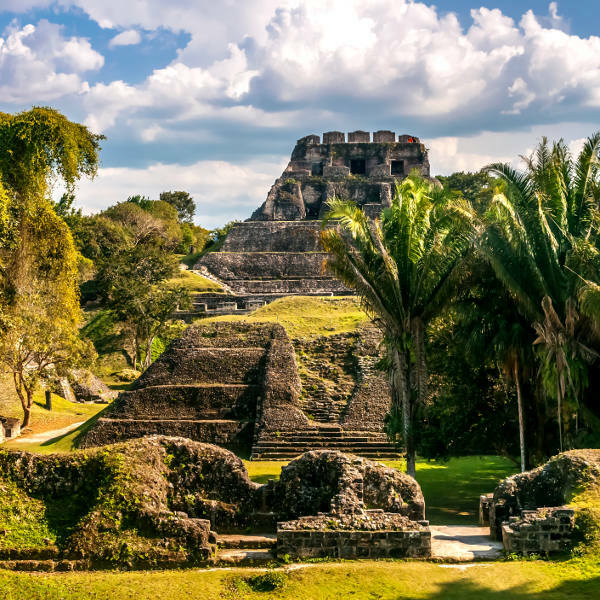 Altun Ha, Xunantunich, and Caracol are some of the most impressive. Born from African beats, punta rock is the sound of Belize. Blending reggae, salsa, and hip-hop and used for social commentary and risqué humor, it is unique and utterly irresistible. Belize experiences a tropical climate with two distinct seasons: dry and rainy. The dry season spans November to May, while the rainy season lasts from mid-May to mid-November. The hurricane season usually occurs from June to October. The dry season is considered the best time for great weather and outdoor activities such as hiking and scuba diving. But if you want to avoid the crowds, attend some of the best festivals, and get cheap flights to Belize, the best time to visit is during the rainy season. If you want to swim with whale sharks, the best time to visit Belize is from March to June. 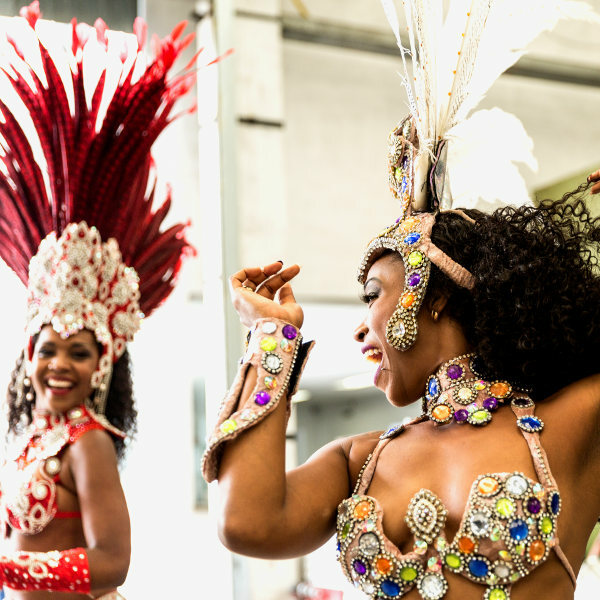 Notable events include: Fiesta de Carnaval (February), Toledo Cacao Festival (May), San Pedro Lobsterfest (June), Benque Viejo Del Carmen Fiesta (July), San Pedro International Costa Maya Festival (August), and the Deer Dance Festival (August). It may be small and a little rugged around the edges, but what Belize lacks in size and grace it makes up for in exotic culture, tropical adventures, and unspoiled beauty. Tropical rainforests, gushing waterfalls, mysterious Maya ruins, and pristine underwater landscapes create the mesmerising tapestry that is Belize. Hike with monkeys in a jungle, explore underground rivers that were once used by Maya for rituals, or snorkel on the Belize Barrier Reef, the second largest barrier reef in the world. Belizean food is a tantalising mix of fresh seafood and fresh fruit. Prepare your palate for seafood delicacies such as lobster and swordfish and fresh fruit such as papaya and kiwi. Coconut infused rice and beans is a trademark dish in Belize along with salbutes and tamales. Be sure to stop at one of the roadside vendors in Belize City for a taste of local wine brews which are made from fruits such as cashew and pineapples. Head to the south coast to visit a Garífuna village where you can try your hand at drumming. Or stay with a Maya family and explore the cacao trail in Toledo District. A visit to towns such as Hopkins and San Pedro Town is obligatory. Compare several airlines and book your cheap flights to Belize online at Travelstart! Although areas frequented by tourists are generally considered safe, you should still exercise caution when visiting Belize. Crime happens everywhere so you should familiarise yourself with the current security and political situation before travelling. You should also familiarise yourself with the local laws and customs before travelling to Belize. Travel insurance to cover theft and medical expenses is highly recommended. Belize has a tropical climate with high temperatures and humidity, so precautions should be taken to avoid dehydration and heat stroke. Other environmental hazards include poisonous snakes, frogs, and scorpions. Watch out for these creatures when venturing into the rainforests and mountains. A yellow fever vaccination certificate is required if you are travelling from an infected country. Zika virus, dengue fever, Chikungunya, and malaria are a risk in Belize, so precautions should be taken to avoid mosquito bites. Immunisation against typhoid, hepatitis A & B, and rabies is recommended. Recommended routine vaccinations include: MMR, diphtheria-tetanus-pertussis, meningitis, varicella, polio, and influenza. Stick to bottled water when venturing out of the larger urban areas.